Thanks for joining us on September 19th for our Info Night. Hope you are all as excited as we are! Please remember that, until January 16, 2019, our Middle School and High School Youth Groups (or Youth Ministries) will meet twice a month. Please check our 2018 YM Calendar of events for more information. Thanks! Gracias por acompañarnos el 19 de septiembre para nuestra Noche de Información. Espero que todos ustedes estén tan emocionados como nosotros! Recuerden que, hasta el 16 de enero de 2019, nuestros grupos juveniles de escuelas interm edias y secundarias se reunirán dos veces al mes. Por favor chequen el calendario para mas información. Gracias! Check out our calendar of events at the top of this page to save the dates to all of our upcoming meetings, confirmation classes, and events! ¡Vea nuestro calendario de eventos en la parte superior de esta página para guardar las fechas de todas nuestras próximas reuniones, clases de confirmación y eventos! 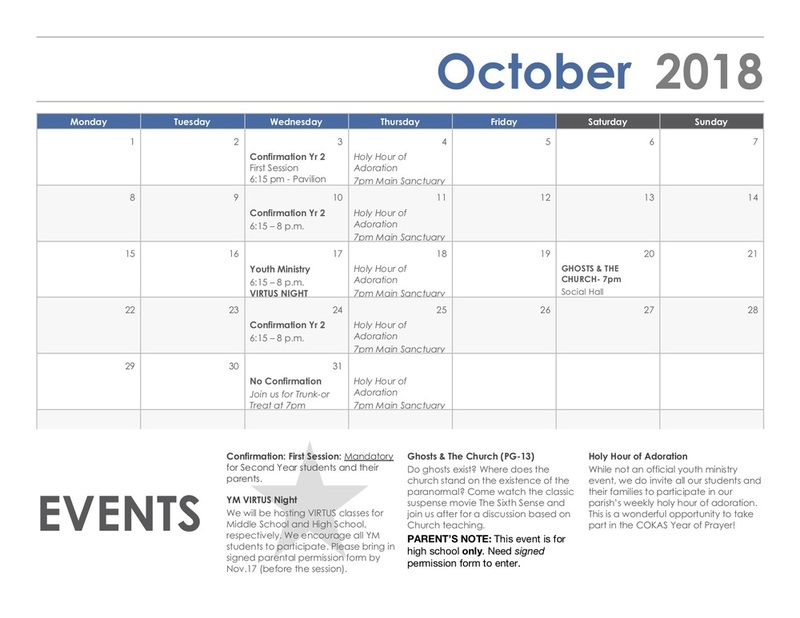 Upcoming 2018 Dates for Year 2 Confirmation Students: Wed., Nov. 7, Wed. Nov. 14, Thurs. Nov. 15, Wed., Nov. 28, and Wed. Dec. 5. Confirmation is celebrated every year at COKAS. Youth may begin preparing for Confirmation in 9th grade and Confirmed in 10th grade. FIRST SESSION for Year 2 Confirmation Students (and their parents) is on Wednesday, October 3, 2018 at 6:15 p.m. in the Pavilion.